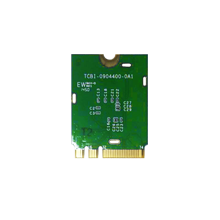 Bointec CGF801R is a WLAN module supporting IEEE 802.11 b/g/n standard via the M.2 interface which formerly is known as the Next Generation Form Factor (NGFF), a specification for internally mounted computer expansion cards and associated connectors. CGF801R is truly a cost-effective solution for the current NGFF application. It can achieve the max throughput of 150Mbps based on 1T1R for the basic data rate requirement and various environments such as household appliances, industry, consumer and automobile applications. 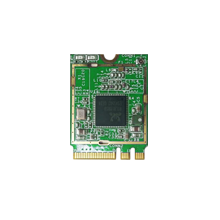 Based on the compact standard size module and robust setup scheme, CGF801R provides those advantages to enhance the value of our customer's target product.